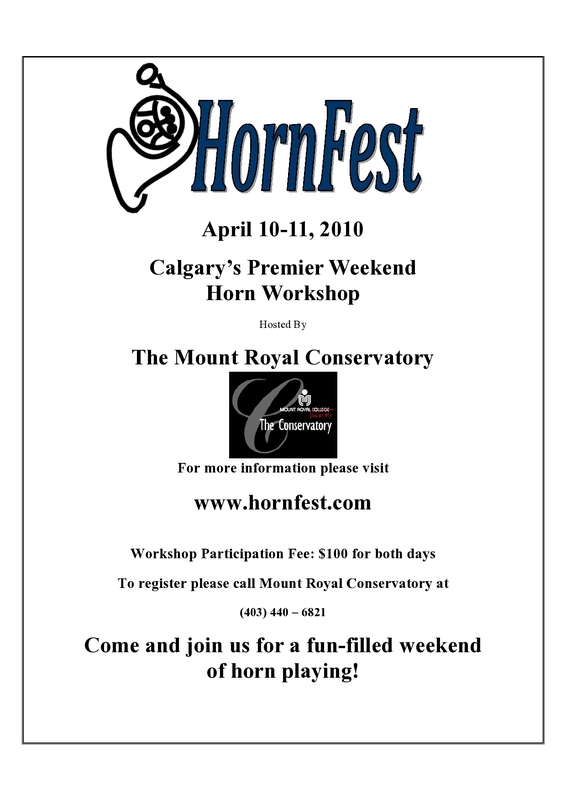 Come to Mount Royal Conservatory April 10-11 for a fun-filled weekend of horn playing. This is an informal workshop for students, amateurs, and interested professional horn players, focusing on horn ensemble music and skills. Led by clinicians Heather Wootton, Jenniffer Frank-Umana, Laurie Matiation and Douglas Umana, the workshop includes ensemble coaching, ensemble masterclass and mass horn choir. Ensembles will be formed based on experience and ability to ensure each participant receives as much individual attention as possible. 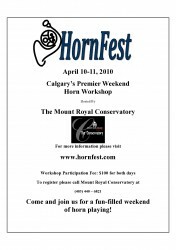 For schedule and other information visit www.hornfest.com.